Monmouth County: Sheriff Shaun Golden is proud to welcome the newest member to the Monmouth County Sheriff’s Office, Law Enforcement Division. 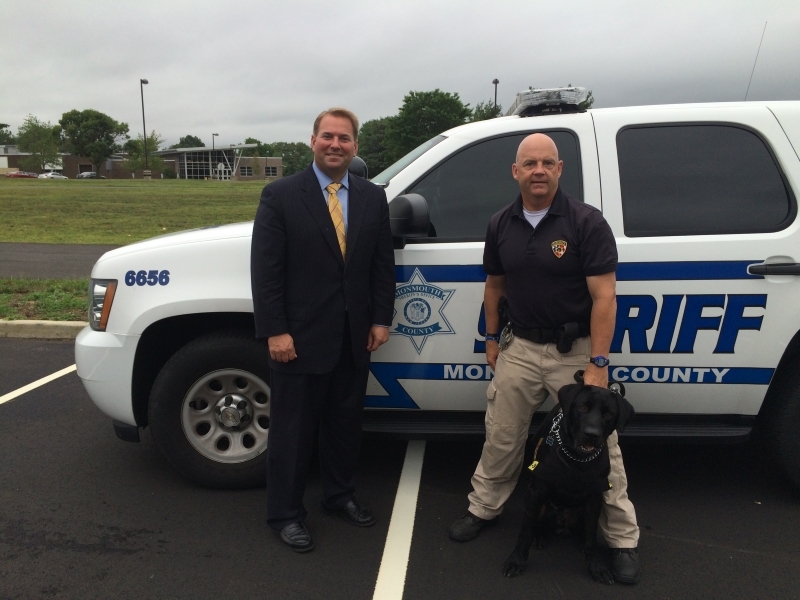 K-9 Gunner, a Labrador retriever, highly trained in narcotics, has officially joined the ranks of the K-9 Unit. Gunner, who is one year and eight months old and hails from Texas, was trained by the renowned USK9 Dog Training Academy in Louisiana after being hand selected for the intensive program. 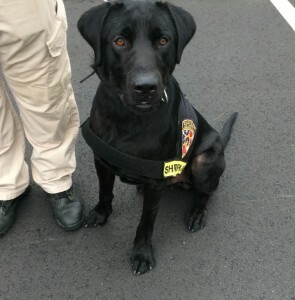 He was trained through tracking scent, using actual odors, and can detect methamphetamines, cocaine, heroin, marijuana and ecstasy. Sheriff’s Officer Kurt Kroeper, a trained K-9 instructor, is Gunner’s handler. K-9 Gunner cost $8,900. He was purchased through forfeiture funds and the generous donation of $5,000 made to the sheriff’s office from the 200 Club of Monmouth County. The 200 Club, which provides families of law enforcement members who died or were injured in the line of duty with financial and emotional support, donated the money to purchase a new narcotics dog after S/O Kroeper’s beloved K-9 Evan, died of cancer in 2014. Together, the K-9 team seized an excess of more than $1.1 million in cash which was a result of many drug investigations. The team also located numerous amounts of narcotics which led to the arrestsof hundreds of individuals.